Deadline is reporting that Ben Affleck is in negotiations to star in the film adaptation of Gone Girl, based on the thriller by Gillian Flynn that became a runaway bestseller in 2012. Affleck would play Nick, a man accused of killing his wife (yet to be cast), but all is not what it seems. Many of those who have read Gone Girl (and seriously, who hasn't yet?) might take issue with Affleck's casting, as the character of Nick is an entertainment writer who meets his wife at a party in Brooklyn, is passionate about the arts, and operates a bar with his twin sister. Basically, he's a hipster, and Affleck, of Argo and Daredevil fame, is the last person you'd expect to see ordering from a food truck in Williamsburg. As for looks, Nick is attractive, but he describes himself as someone with "a face you want to punch" — does not scream Affleck to you? 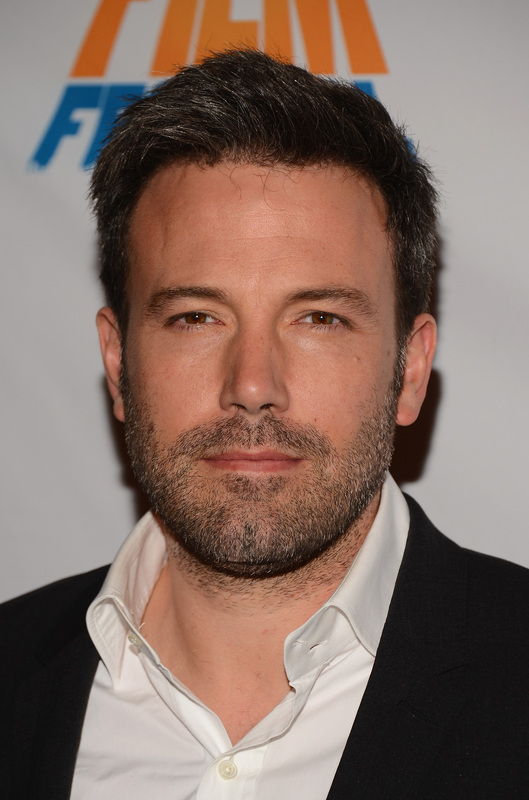 Affleck is a good-looking guy, but his youthful features can easily translate into cockiness depending on the role. Of course, until we see the film, there's no way of knowing if Affleck is truly the right choice to play Nick. However, he's more than capable of portraying one of the most divisive fictional characters of the last few years. If he succeeds, it'll remind the public that the man behind Argo isn't just an Oscar-winning director — he's a talented actor, able to headline a movie and win over critics. As for who will work alongside Affleck as Amy, Gone Girl's female lead, three actresses are said to be vying for the role. Natalie Portman, Charlize Theron, and Emily Blunt are all contenders, according to The Wrap. All three women are talented, but Blunt, who has played sly before (hello, The Devil Wears Prada), would be an excellent choice for the manipulative, hard-to-read Amy. Gone Girl will be directed by David Fincher and will be produced by 20th Century Fox and Pacific Standard, Reese Witherspoon's company. Flynn is writing the screenplay.